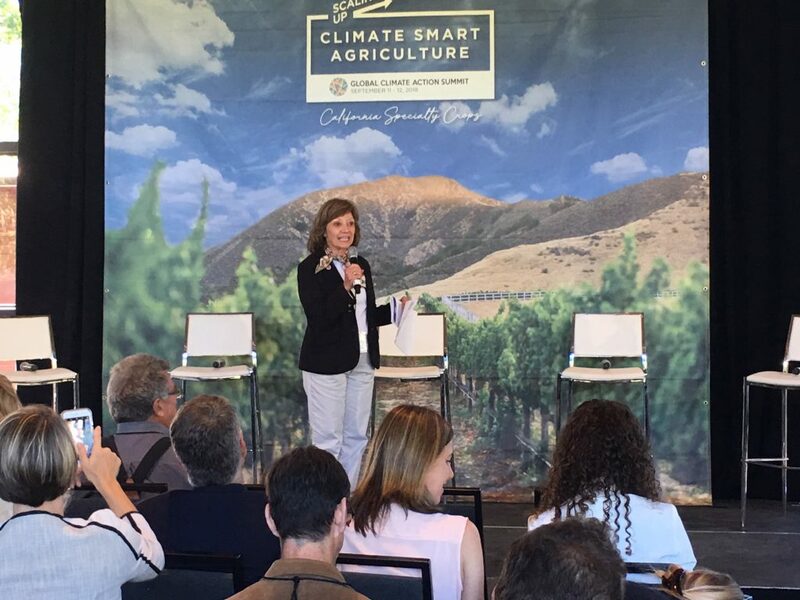 At the Scaling-Up Climate Smart Agriculture opening event his morning in Sonoma County, CDFA Secretary Karen Ross called on attendees to “connect the dots” and create partnerships to solve the critical challenge of feeding our global population. With approximately 1/3 of global crop land in degradation and climate change continuing to impact major growing areas, innovation and partnerships are essential to the feed estimated 10 billion people that will be living on our planet by 2050. The Scaling-Up Climate Smart Agriculture events this week will bring together California farmers, multinational corporations, environmental stakeholders and international representatives to collaborate and then step-up for action on climate solutions for the benefit of farmers worldwide and people who enjoy a healthy and bountiful food supply.